Welcome to Villa Siam a luxury villa set on the golden sands of Natai beach and part of a 6 stars unique destination property. 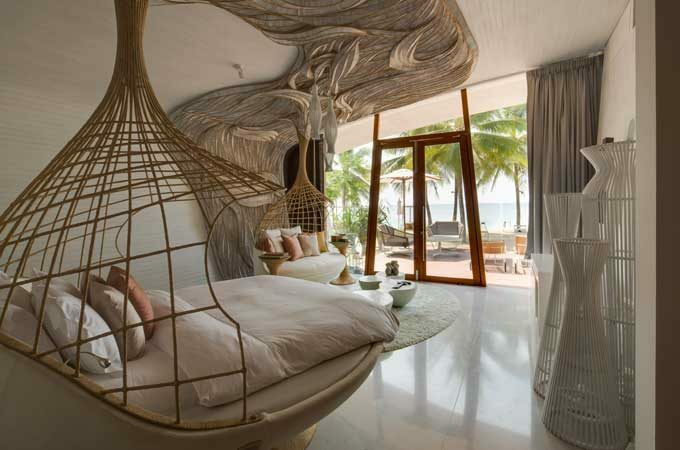 The absolute beachfront 3-bedroom villa is a maximalist fantasy inspired by Thai culture and Buddhism and includes beds and sofas suspended from the ceiling by wicker bamboo. 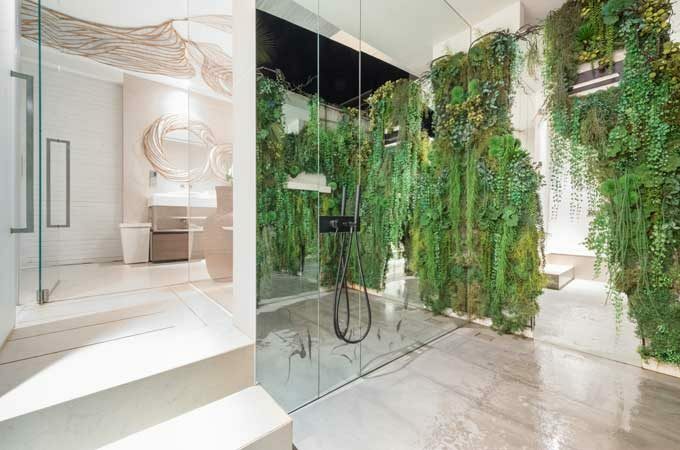 Designer Eggarat Wongcharit has sculpted an extraordinary celebration of contemporary Thai art, craft and design. 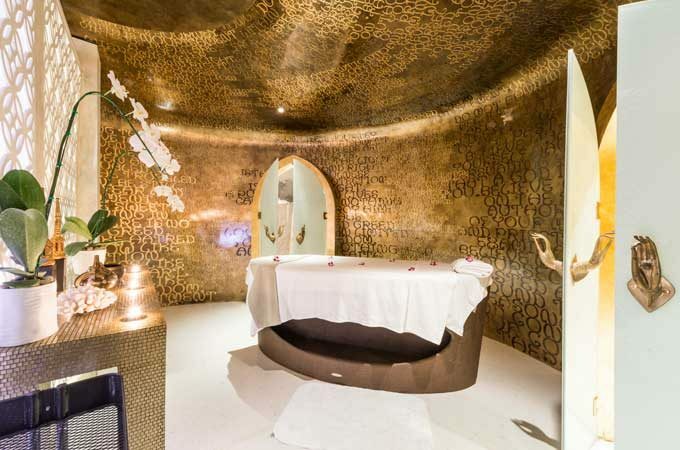 This remarkable villa will awaken your senses and immerse you in an experience like no other. 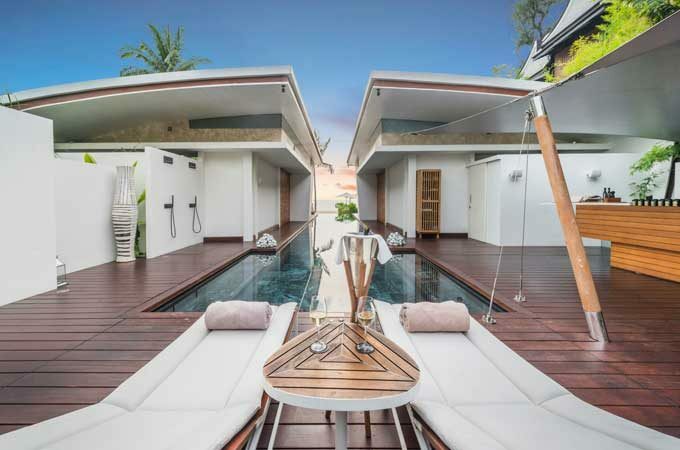 The curved roofs of this villa represent the ‘Hands of Welcome’ at Iniala. 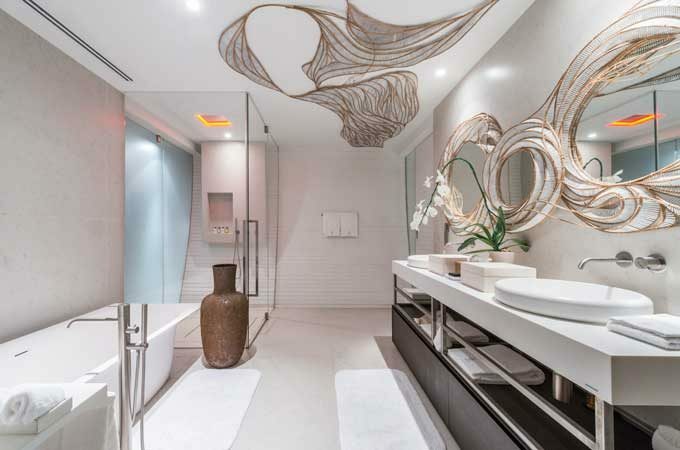 There’s plenty of space to relax or entertain with a large deck complete with a grand dining and living area and refreshing 20-metre swimming pool, perfect for laps. 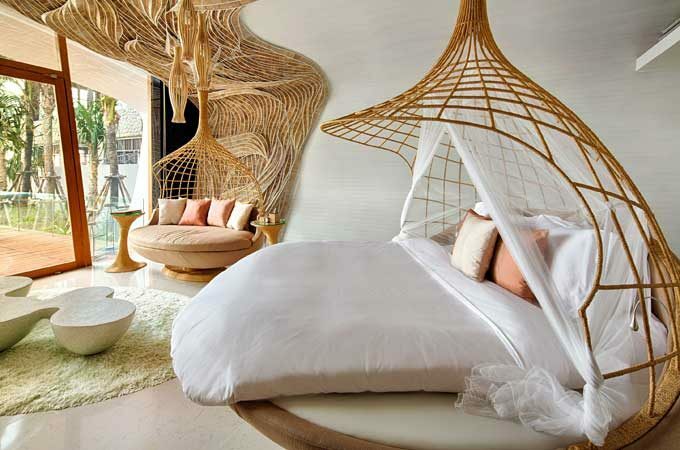 This villa has a dedicated team including a driver, butler, chef, spa therapist and a housekeeper. 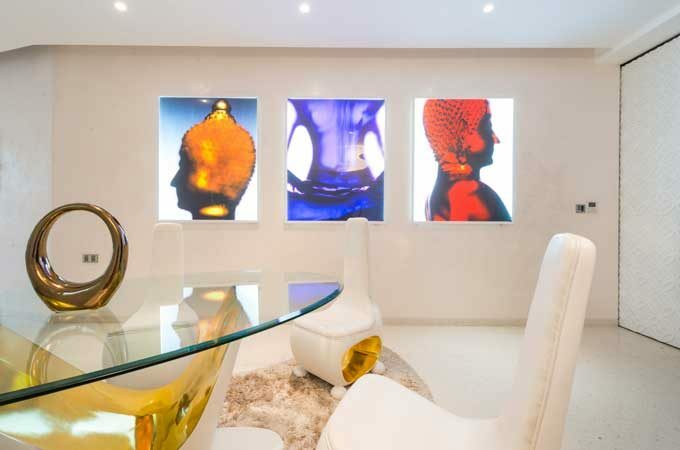 The Gallery living room is complete with a collection of significant pieces of photography, ceramics and tapestry from Thailand’s most celebrated artists. 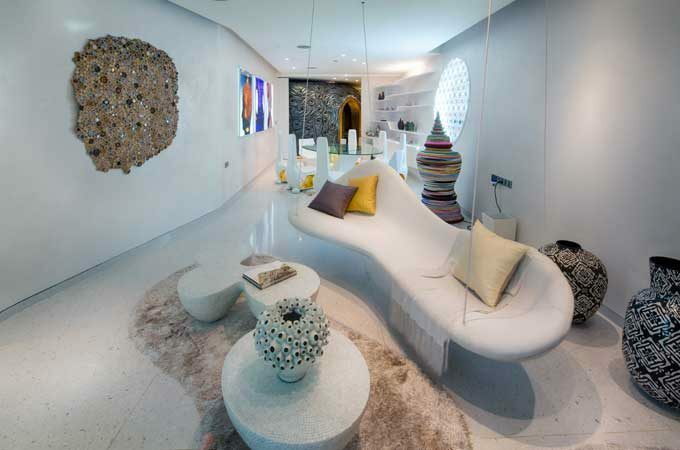 Novel hanging sofas provide a relaxing place to be and the splendid white and gold dining table provides a memorable setting for dining. 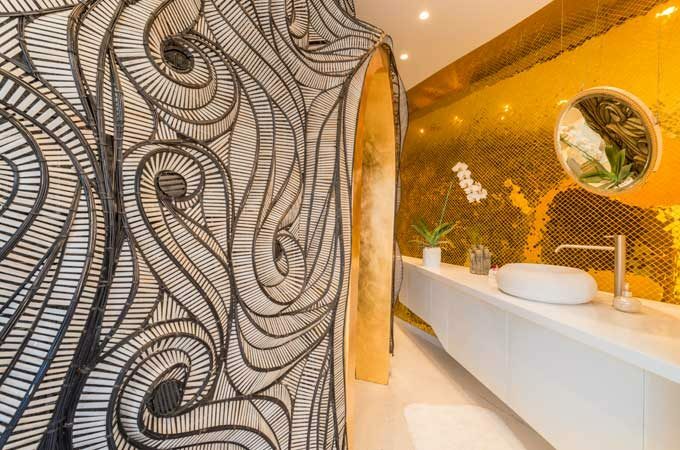 Once you step inside this re-creation of a Thai temple bell wrapped in ornate woven bamboo, a feeling of serenity immediately overwhelms you. 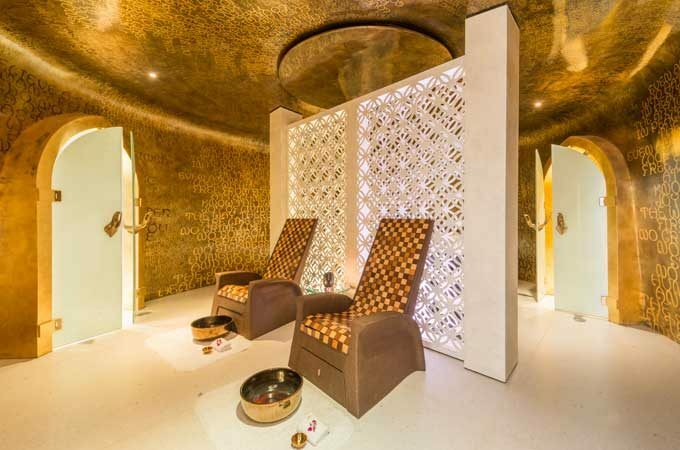 Gold leaf and sacred Buddhist text are engraved into the splendid dome. 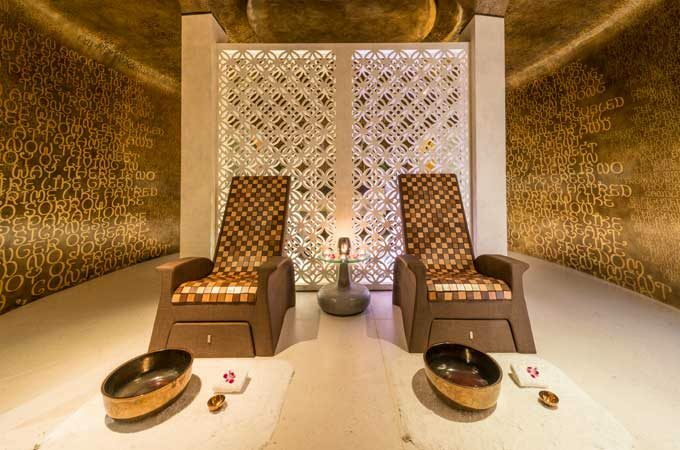 Eggarat created beautiful golden massage beds and pedicure chairs especially for Iniala. 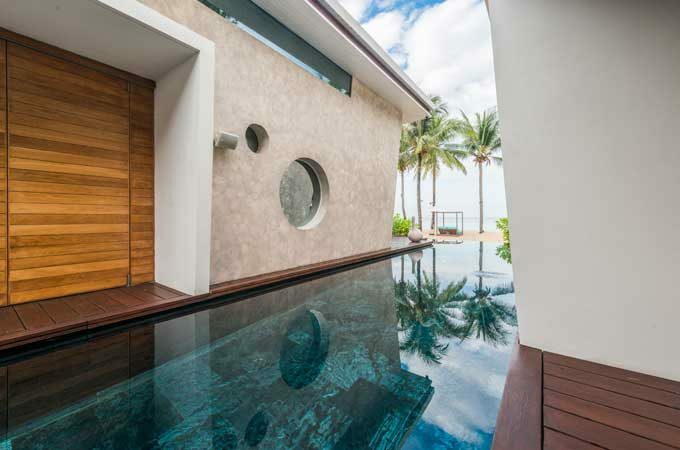 Relax in complete privacy with your own infinity swimming pool and terrace, which offers absolute beachfront views of the Andaman Sea. 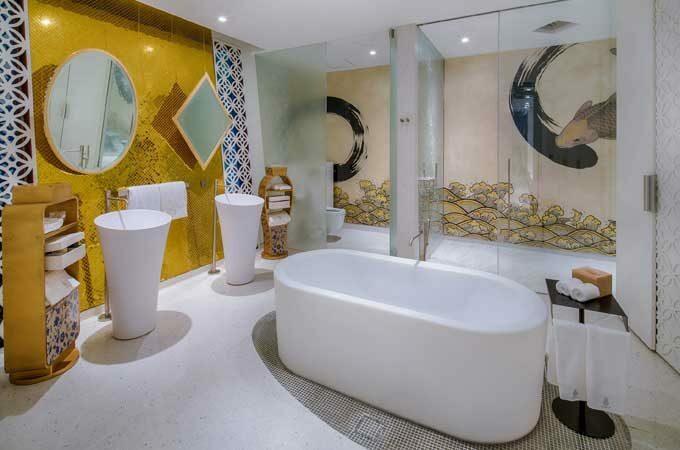 Villa Siam has 3 suites for 3 to 8 people in total. 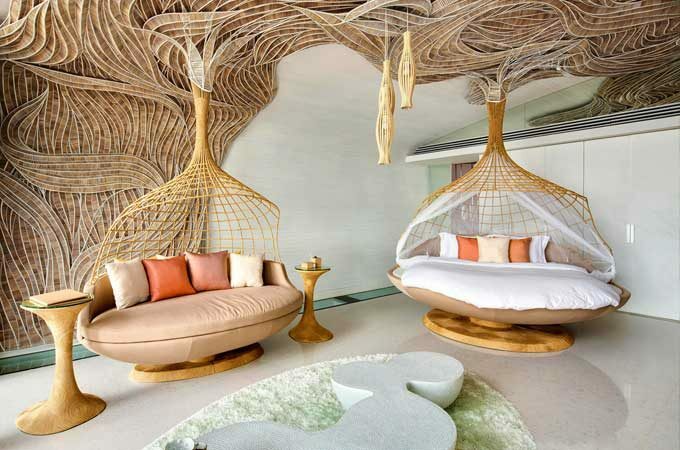 Inspired by Thai culture and nature, these two beach suites feature interestingly sculpted beds and sofas that are reminiscent of a temple stupa and silkworm cocoons. 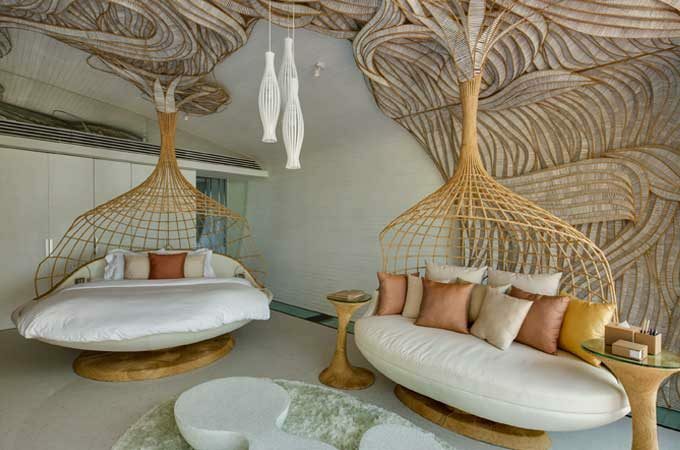 The ornate bamboo detail, by artist Korakot, adds to the fluid organic nature of these rooms. 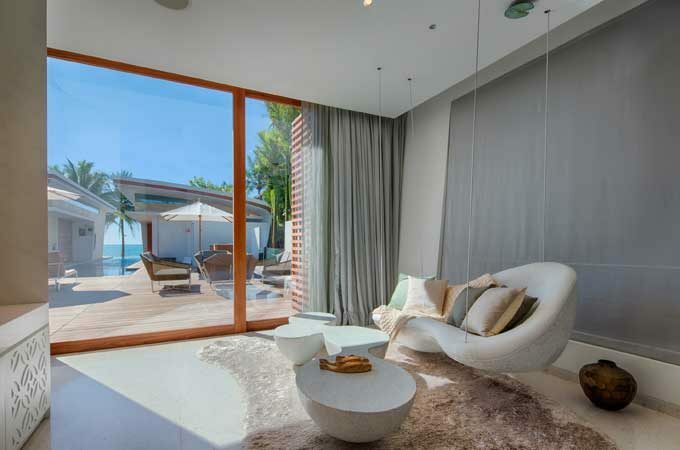 Private terraces adjoin the suites with access to the 18metre lap pool. 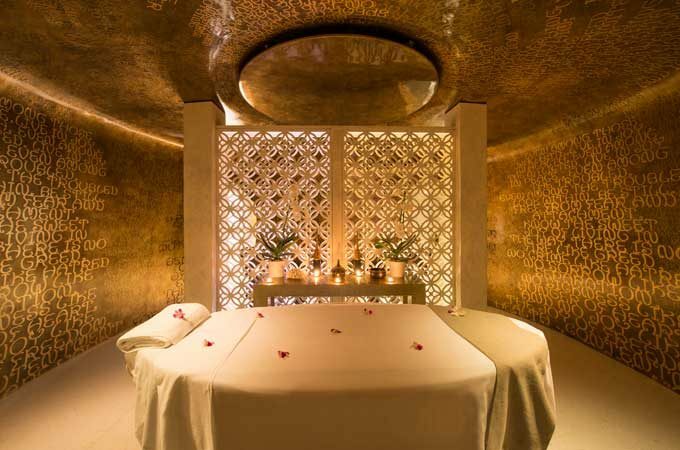 The Lotus suite is inspired by the organic nature of the four Buddhist elements of Earth: Earth, Wind, Fire and Water. 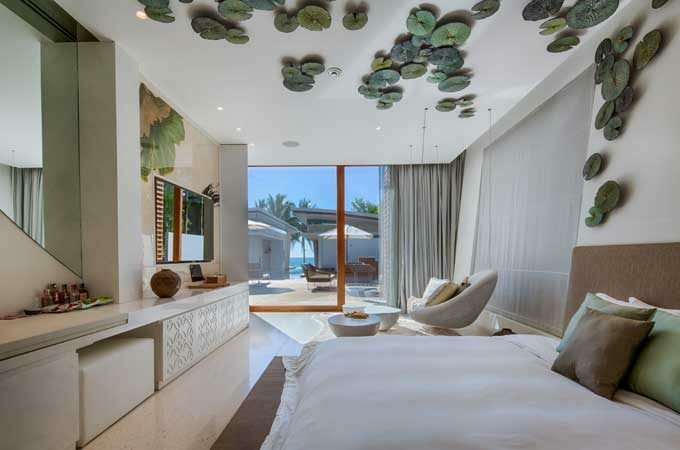 Dozens of pretty bronze lotus flower leaves adorn the walls and ceilings above the bed and the artwork in the bathroom depicts the movement of life aquatic. 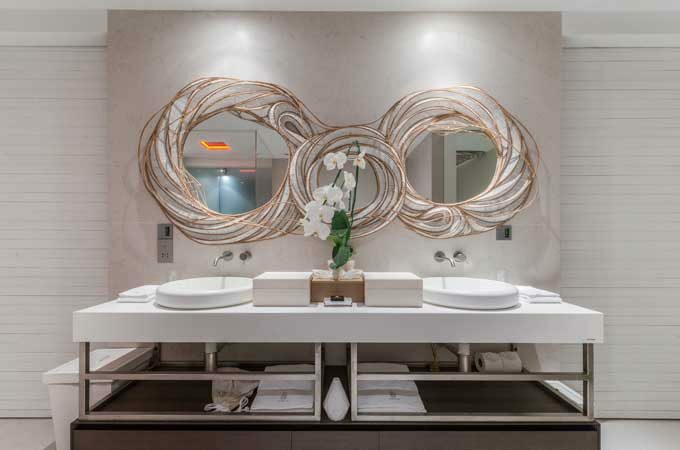 Rising from the idea of Buddhism’s four natural elements of earth, water, wind and fire, the concept is moulded by the organic forms, lines, colors and textures that harmonize the interior space, I hope that this harmony will bring balance to your stay in Villa Siam. 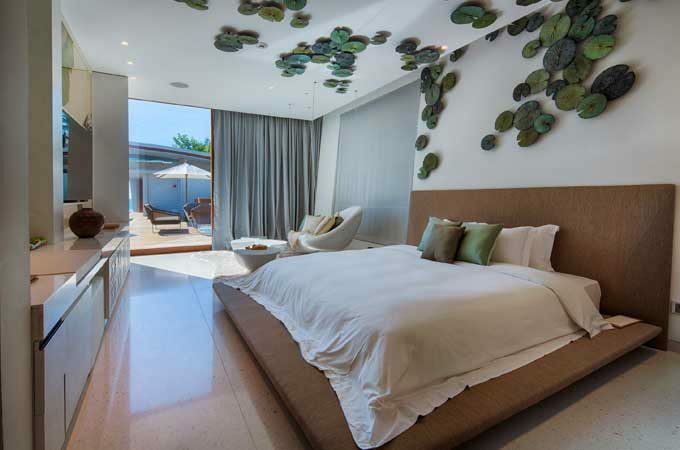 Situated on Natai Beach just 20 minutes north of Phuket Airport, Thailand. 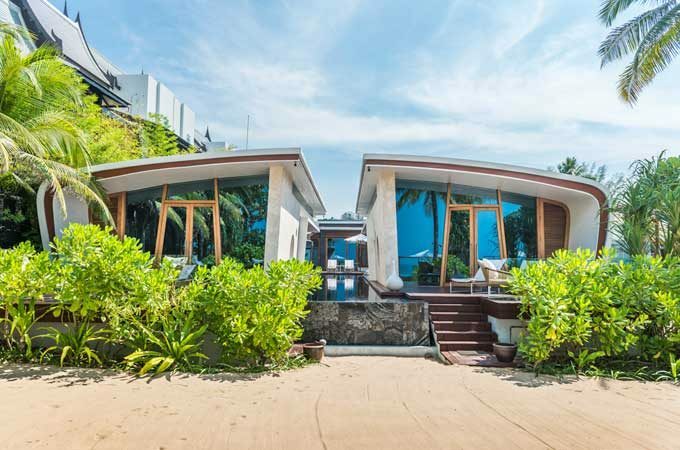 Iniala Beach House also has unobstructed views of the beach and the Andaman Sea. Rates by night in $ USD, inclusive of all taxes and fees. 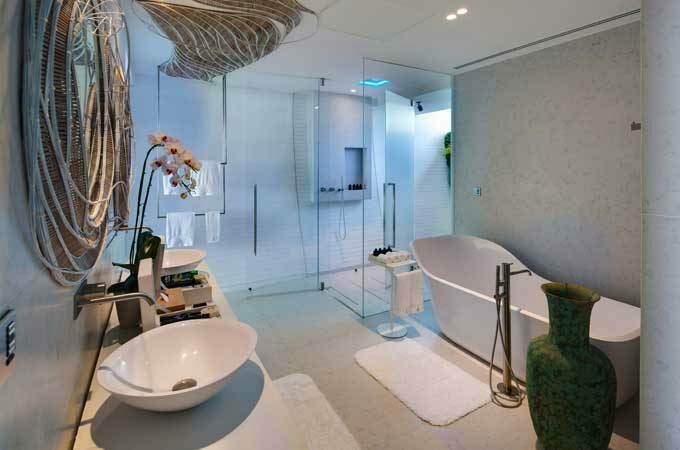 All rates are subject to change depending on time of year and are set as from rates only. Feel free to send a request for discounts and special offers.